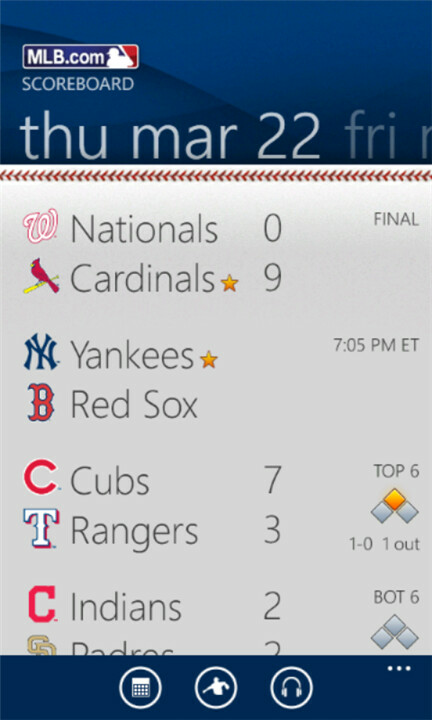 Last week we reported that the latest version of the MLB’s app, At Bat 12, was released just in time for the new season. The app was available for iPhone, iPod touch, iPad, Android phones and tablets, the Kindle Fire, and BlackBerry. Missing from the mix? Windows Phone. 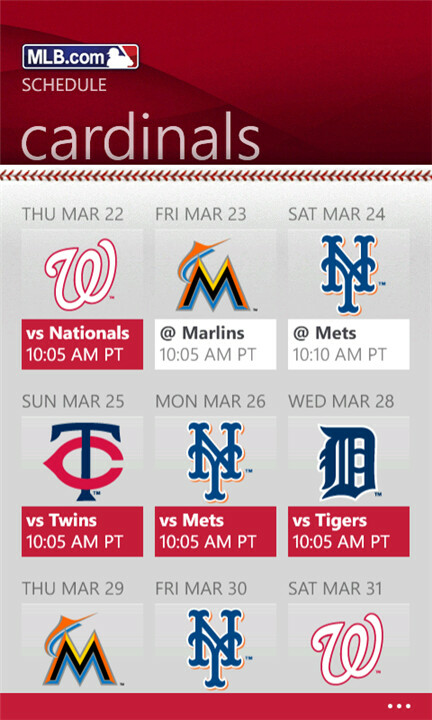 Leading up to opening day (yesterday), the MLB At Bat 12 website showed a Windows Phone version at the bottom that simply said, “Coming Opening Day.” Opening day came and went with no Windows Phone app spotted in the Marketplace. 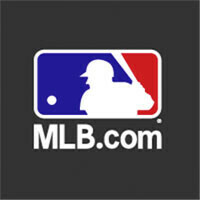 We reached out to the MLB both through its website and via Twitter for comment, but did not receive a response. Interestingly as of the time of writing this post, the Windows Phone mention has been removed from the At Bat 12 page, but the app has finally surfaced in the Marketplace. It is unclear if the At Bat 12 app was a casualty of the recent publishing delays Microsoft has been reporting due to an influx of app submissions, but it definitely came a day late. Unfortunately there does not look to be a free At Bat Lite available, only the full version, which costs $14.99 for the season. As the old saying goes, better late than never. 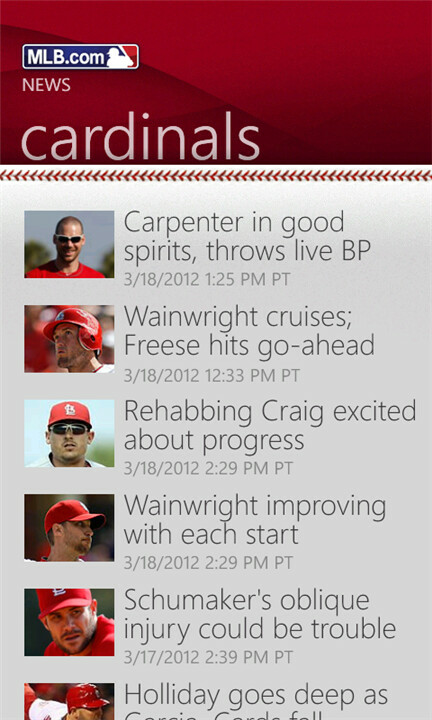 Baseball fans can grab MLB At Bat 12 in the Windows Phone Marketplace here. I usually really like the metro interface but that interface is UUUUGGGGLLLYYY. The app is OK. I don't subscribe to Premium so I don't know about free vs paid. But there are at least two differences from the iPhone version I used two years ago. 1. I didn't see a Free Game of the Day yesterday. Don't know if that's started yet, but hopefully we'll get it. 2. 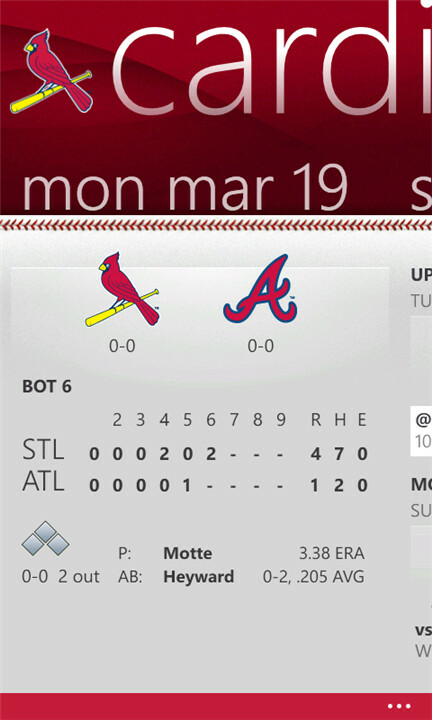 You can't start the radio stream of a game from the main scoreboard or boxscore game. It took me about 10 minutes to figure out you had to press the "..." on the bottom to access the audio, but it only shows up on the main screen. A little different from what I remember, but very glad they gave us something! Also, for me anyway, the app only shows up when searching on the phone. The Zune software on the PC doesn't show it at all!